Next April 28th we’ll have the pleasure to play at Dusterfest in Winterthur, Switzerland. 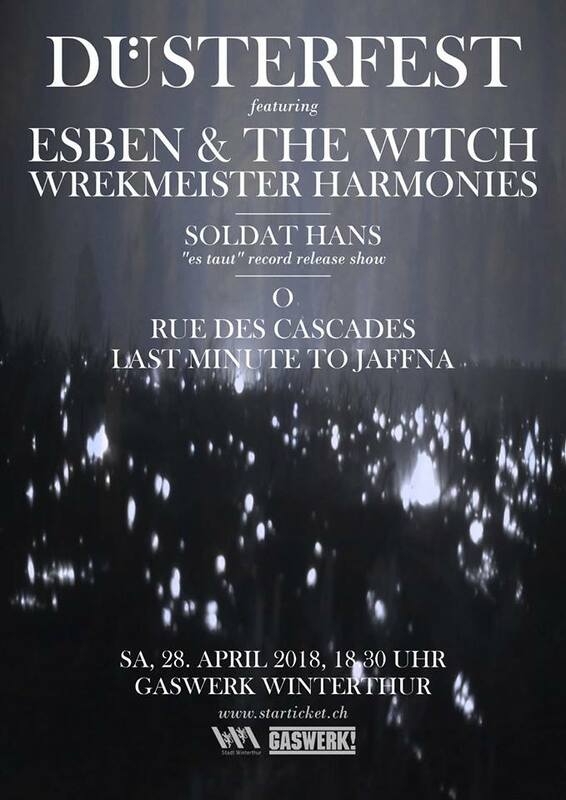 We’re sharing the bill with Esben & The Witch, Wrekmeister Harmonies, Soldat Hans, O and Rue Des Cascades. Presale tickets are available.